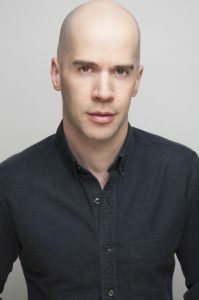 Jeremy Peter Johnson has been acting for over twenty-five years in TV, film, commercials, and theater - including nine seasons in the acting company of the Tony Award-winning Oregon Shakespeare Festival. Off-Broadway, he was seen in Pride and Prejudice, Shakespeare's R&J and Before the Dawn. Regionally he has starred in Beyond Therapy and She Loves Me (Westport Country Playhouse), Nothing Sacred and Shrew! (South Coast Rep) and Guys and Dolls and Into the Woods (Wallis Annenberg). His TV credits include Las Vegas, All My Children, and As the World Turns. A graduate of Northwestern University, he recently relocated to Chicago and is excited to join its incredible performing arts community.